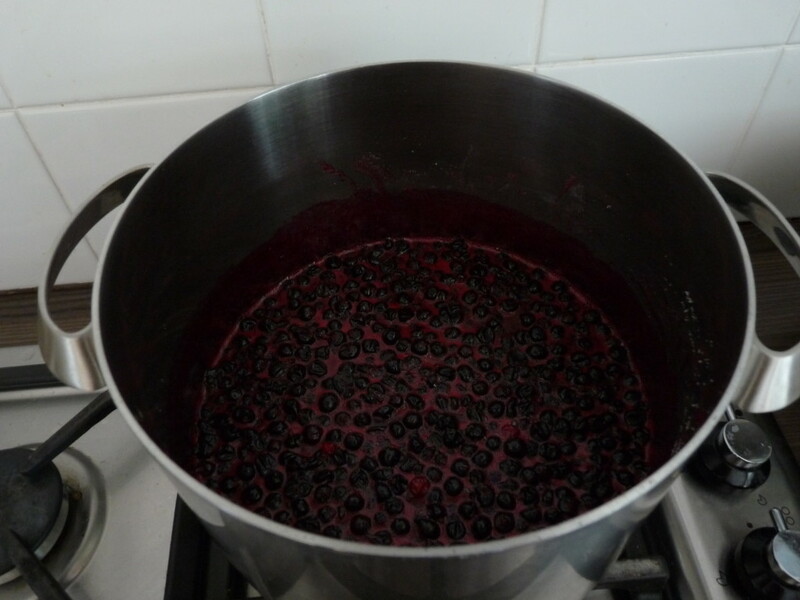 Having had a kilo of blackcurrants from allotment, plus another half-kilo pinched from the Tamworth allotment yesterday, get on with a-processing. A morning of stalk picking, an afternoon of compote-ing, and an early evening with a pint of cream. 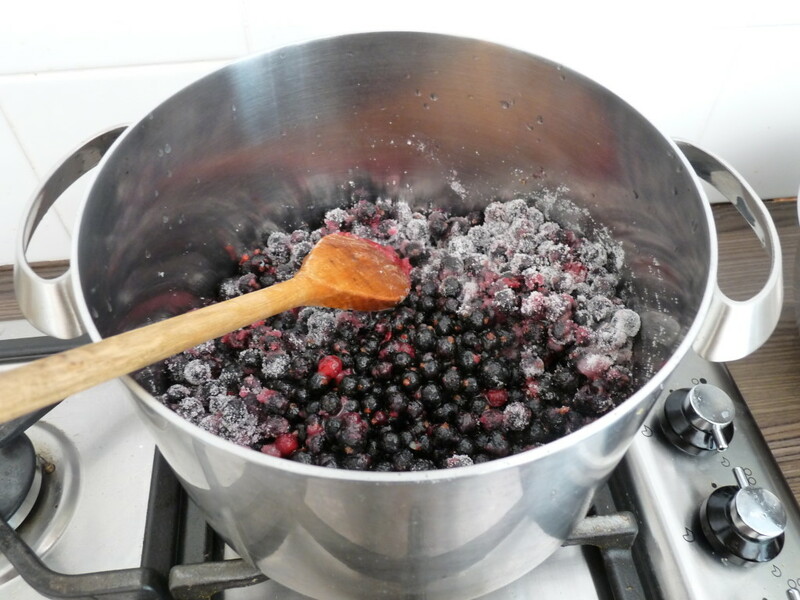 Blackcurrants need heat and sugar, else they resemble acid bombs. I intended to use the compote as it was, but whilst it was fine for breakfasts, it was waaay too tangy for the ice (Note – the base for ices need to start off too sweet to counteract the effect of freezing). So I froze about a third of the compote and rubbed the rest through the sieve with the addition of a third of a pack of icing sugar; didn’t weigh, just shoved it in. Ended up with about 800ml of blackcurrant saucy goodness. Whipped 450ml double cream, stirred in the compote, and what do you know, there was far too much for the ice cream machine – hence the two pots of fool. These are unbelievably good. It’s the contrast of sweet and tangy that does it; balance makes for the best things. Froze the rest into a gelato-style purple creamy mass. There was leftover sauce, so that got frozen too. A bit of work, but free fruit and – I suspect – about £40 worth of product? Not counting the vast quantity that got licked off the spoon at various points of the process. A good haul.